There are many reasons to love SEMA time each year. 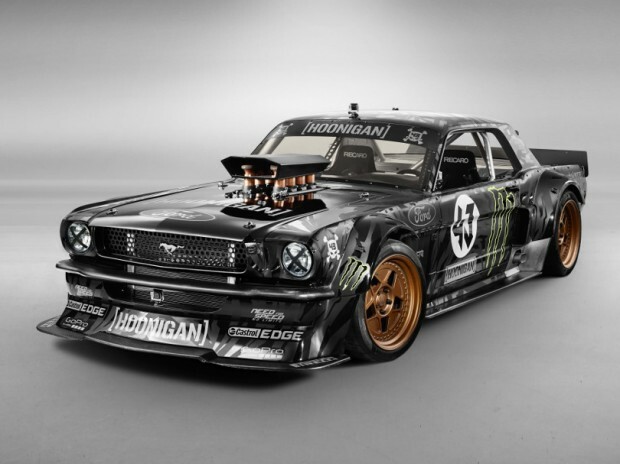 One such example is this amazing Mustang built for Ken Block’s Hoonigan Racing Division by ASD Motorsports of Charlotte, NC in collaboration with Block and Vaughn Gittin Jr’.s RTR. 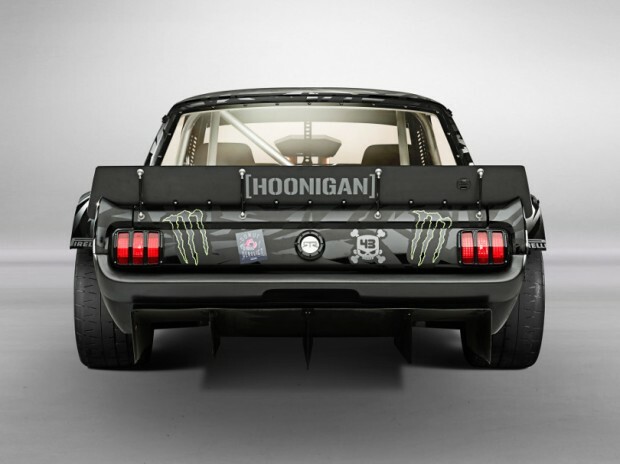 This incredible car started out as a 1965 Ford Mustang notchback, but was dramatically changed into the beast you see here over the course of a lengthy two year design and build process. 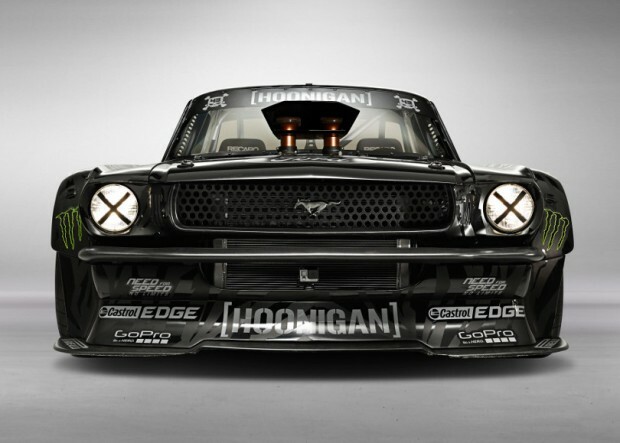 Under (and through) the hood is a 410 cubic inch Ford V8 that’s been amped up to produce a whopping 845 horsepower and 720 lb.-ft. of torque. What’s especially impressive is that the car is all-wheel drive, with a Sadev 6-speed transmission and hydraulic handbrake. 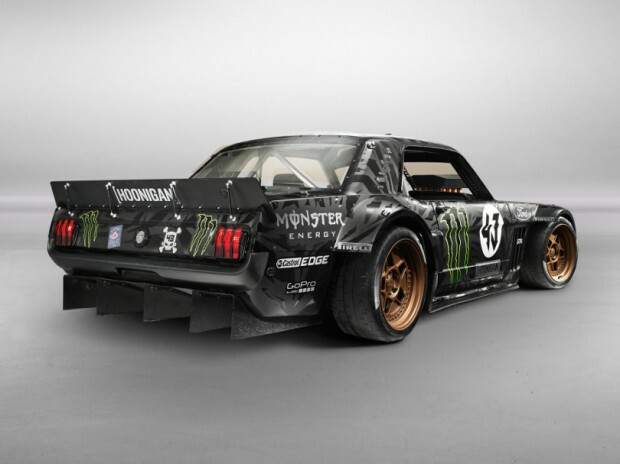 The whole thing rides on Pirelli Trofeo R 18’s, with a custom designed tire compound just for Ken Block. All of this should make it particularly adept at the sort of Gymkhana trickery that Block is well known for. Expect to see this incredible car in Block’s upcoming Gymkhana SEVEN video. I for one can’t wait to see it in action. And if you’re lucky enough to be in Vegas for SEMA this week, drop by the Ford booth to see it in person.